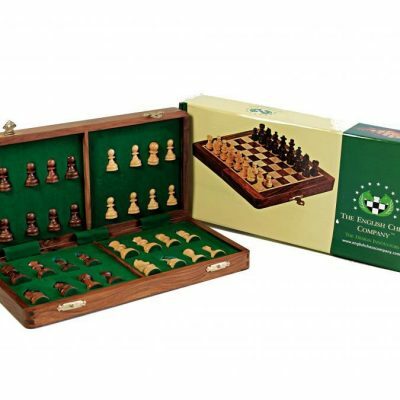 This beautiful Staunton chess set combines antique colours with a modern and contemporary look. The light set Staunton-style pieces are crafted out of premium boxwood whilst the dark set pieces are made with shesham wood (also known as golden rosewood). 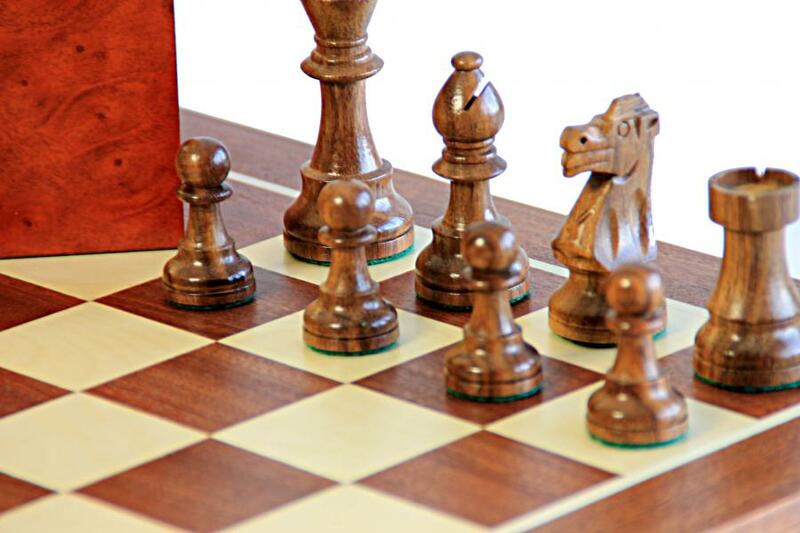 Each piece is polished, felted and weighted to create premium looking pieces which feel great in the hand and are a pleasure to play with. 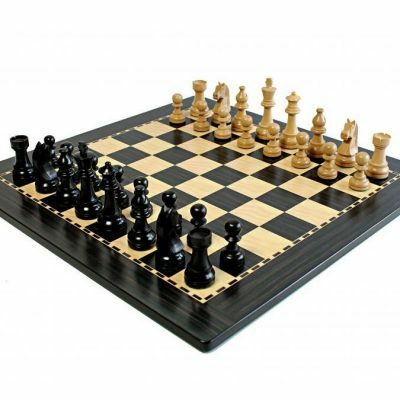 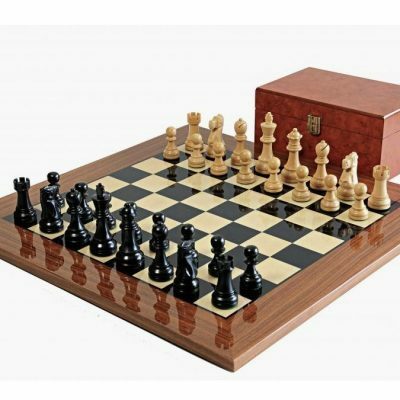 The solid chess board is made with inlaid mahogany and sycamore veneers to create a beautiful looking board thanks to the earthy colours and natural wood grains. 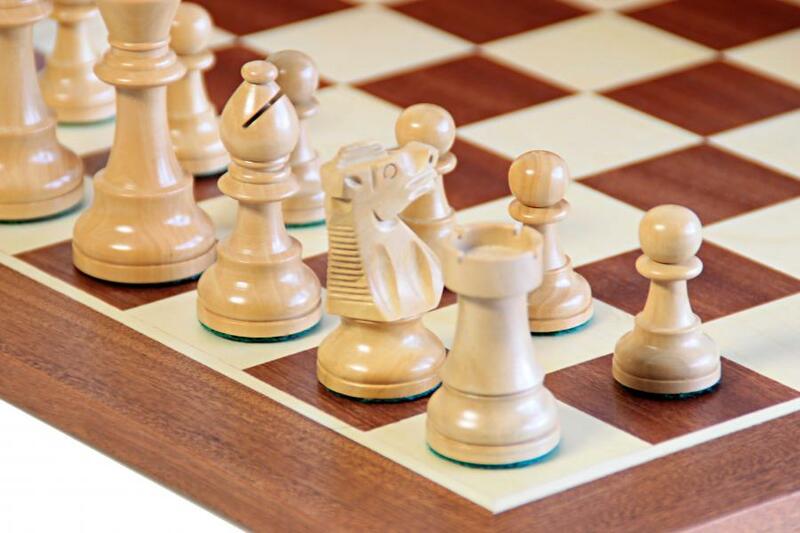 The playing surface is polished for exceptional smoothness to enhance playing. Please note: This set now comes with a stunning root burlwood (not mahogany) chess box, which is included to safely store your pieces when not in use or during transportation. 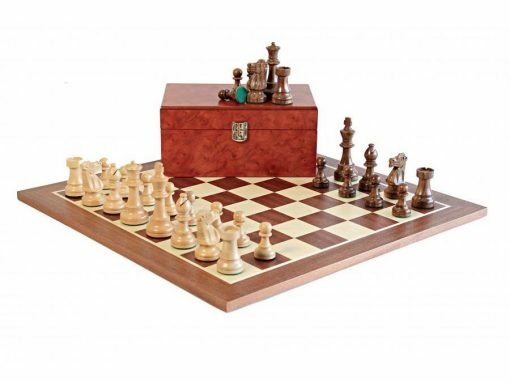 This set includes all 32 pieces for both sides of the board.